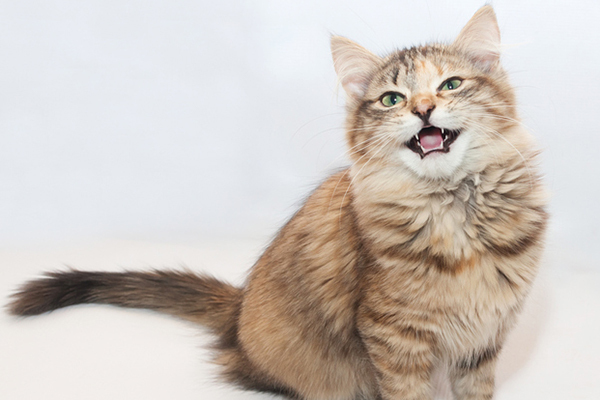 Our cats communicate with us in many ways, which is why it’s so important to tune in to their body language. Their tails, ears and eyes speak to us — but so do their mouths. One might not pay much attention to a thing like a cat licking his lips, but here’s why it’s so important to remain aware of what’s really going on when a cat is licking his lips. 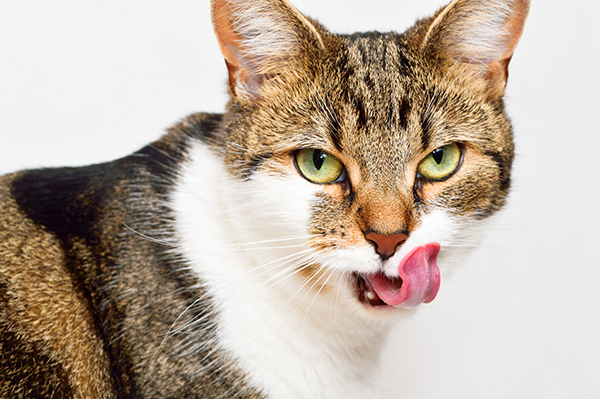 Is your cat’s lick-lipping behavior normal … or not? Photography © hocus-focus | E+ / Getty Images. We’re used to seeing a cat licking his lips. It’s part of a cat’s meticulous grooming ritual — and it’s pretty cute, right? Speaking of cute, that kitty lip-licking might also earn you some serious social media likes on #tongueouttuesday. But what about the serious side of a cat licking his lips? 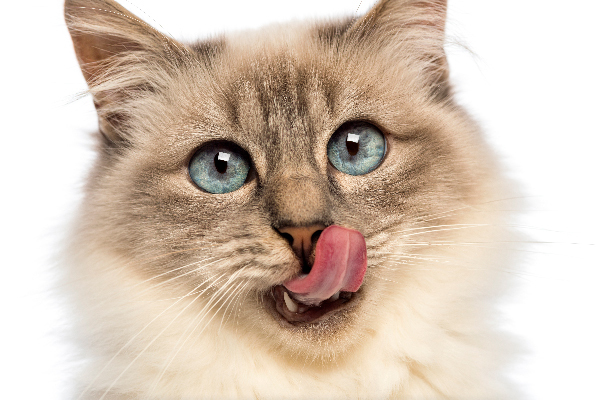 While your cat licking his lips is definitely normal in some instances, it may be time to dig a little deeper to discover why this behavior is happening. 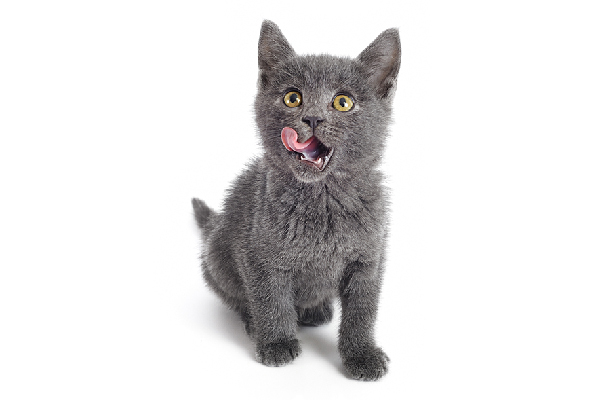 A cat licking his lips followed by swallowing could be a sign of nausea. Vomiting may follow. Does your cat’s lick lipping indicate allergies? Photography © Lee-J | iStock / Getty Images Plus. If your cat is sensitive to certain allergens or experiencing a “kitty cold,” you may see him frequently licking his lips following a sneeze. Excessive drooling, which can cause your cat to lick his lips, may be a sign of dental issues —this could mean anything from a bad tooth to dental disease. Ptyalism is hypersalivation and might make a cat lick his lips. The cause of the excessive salivation could indicate a number of health conditions, some of them quite serious. This is a condition that presents as overly dry mouth, which can cause lip-licking in cats. Although there are several reasons for developing this, the most alarming is feline chronic renal failure. Pay attention to the circumstances surrounding a cat licking his lips. Is the behavior occurring only after meals? If so, there’s probably no cause for concern. However, if you notice your cat licking his lips in other situations, it’s time to consult a professional. Cats can experience stress and anxiety for a variety of reasons, including changes in the household, a switch of food or litter brands, other cats or loud noises. Pay attention to your cat’s body language and the other things that happen when your cat is licking his lips. You can alleviate these stressors by creating gradual changes and remaining aware of — and doing your best to avoid — stress triggers in your cat. You may decide to contact a cat behaviorist for a consultation tailored to your specific situation. Because a cat licking his lips can be a sign of a potentially serious medical or dental issue, contact your veterinarian for a complete physical examination if you’re concerned. My cat will get in front of me and lick his lips to tell me he wants treats.